Cell cultures are one of the major techniques in life sciences frequently used in research, development and production. 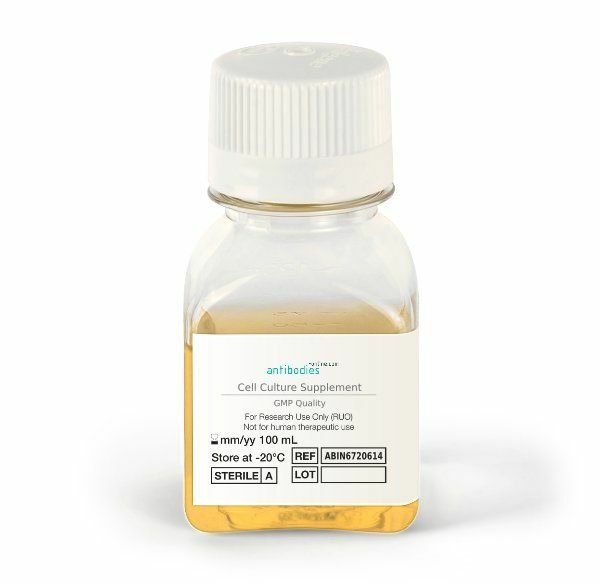 antibodies-online now offers Human Platelet Lysates (hPL) cell culture supplement as a first-rate alternative to fetal bovine serum (FBS) in human cell culture medium. Human blood offers abundant growth factors and ensures this way a high cell performance . Human Platelet Lysate is manufactured from platelet units obtained from healthy blood donors at either FDA-licensed or EMA licensed blood centres. The human platelets are pooled in large batch sizes (>300) to ensure outstanding consistency in availability, pricing and the product itself. Find more information about our cell culture supplements, comparative data hPL vs. FBS/ FCS, products, certification.